Effective Jan. 1, 2014, processing fees for standard installment agreements and doubt as to collectability offers will increase. Fees for direct debit installment agreements are unchanged. Low income fees and fee waivers are also unchanged. The notice of proposed rule making proposed to increase the fee under § 300.1 for entering into an installment agreement from $105 to $120 and to increase the fee under § 300.2 for restructuring or reinstating an installment agreement from $45 to $50. rule making also proposed to increase the fee under § 300.3 for processing an offer in compromise from $150 to $186. Offers based on doubt as to liability and offers from low-income taxpayers continue to be excepted from a user fee. The new fee rates for both installment agreements and offers in compromise will be effective January 1, 2014. 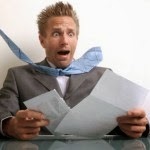 Need Time to Pay Your IRS Debt? Want To Settle For Penny's on the Dollar? U.S. Signs 6 More FATCA Agreements! The US Treasury Department's web site also reflects that with the six new agreements are total of 18 of such signed intergovernmental agreements (IGAs). The FATCA FFI List Resources and Support Information Webpage has been posted to the FATCA Website. 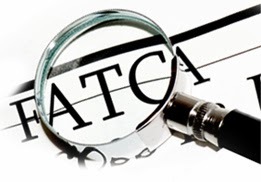 In addition, the FATCA FFI List Frequently Asked Questions (FAQs) have been posted to the FATCA Website. What taxpayers representatives should be paying attention to in these FATCA discussions, among other things, is that the form of the FATCA submissions entitled "Schema" is a uniform computer readable report. This is the same language/requirement which is being utilized in discussions regarding intergovernmental agreements. So effectively, in the not-too-distant future, we may be seeing foreign banks submitting their "Schema" to their government to be shared with the US and other foreign governments; which can then be used by the IRS or the other home country to match up the information in the "Schema" against that depositors local tax report! Some of the requirement currently being discussed include that these "Schema" contain the taxpayers home country identification number. So for a US taxpayer it would contain their Social Security number. 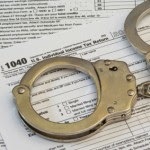 Where that happens, tax advisers need to advise their clients that it's no longer a question of if; rather it's a question of when, the US and other governments are able to match the information from these intergovernmental agreements to an individual US taxpayers transcript information or other country's tax information. No one can tell exactly when this ability to cross match foreign information with US taxpayers transcripts will occur; however a good guess would be as soon as 3 to 5 years in the future; given all the logistics associated with such a program. Marini & Associates, P.A. Wishes You Happy Hollidays! Copyright © 2013 Marini & Associates PA, All rights reserved.